While video games based on anime properties have generally fared a little better than their movie counterparts, they do have their fair share of stinkers. After all, video games are a business, and if tacking a well known license onto a poorly conceived game can help sell units, then what company wouldn’t see that as an opportunity? It’s a sad fact that licensed games will generally sell regardless of the quality, the Naruto franchise included. 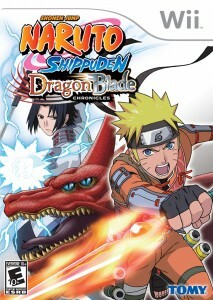 However, the latest release in this franchise, Naruto Shippuden: Dragon Blade Chronicles, hopes to join the ranks of being the next must own title on the Wii. Does it succeed, or should it make like a Shadow Clone and disappear into a puff of smoke? The story revolves around a girl named Akari, a member of a clan of Dragon Guardians who enlists the help of Naruto and other members of the Village Hidden in the Leaves in order stop a revenge plot by her brother, Kuroma. Like many antagonists in the Naruto series, Kuroma had a rough time with being mistreated by society and seeks to gain the power of the Light Dragon to bring vengeance upon the world. Armed with the legendary Dragon Blade, the only weapon that can defeat the Genryu, Naruto embarks on a journey atop Mount Koryu to acquire all the Dragon Orbs before Kuroma and bring a stop to his plans once and for all. 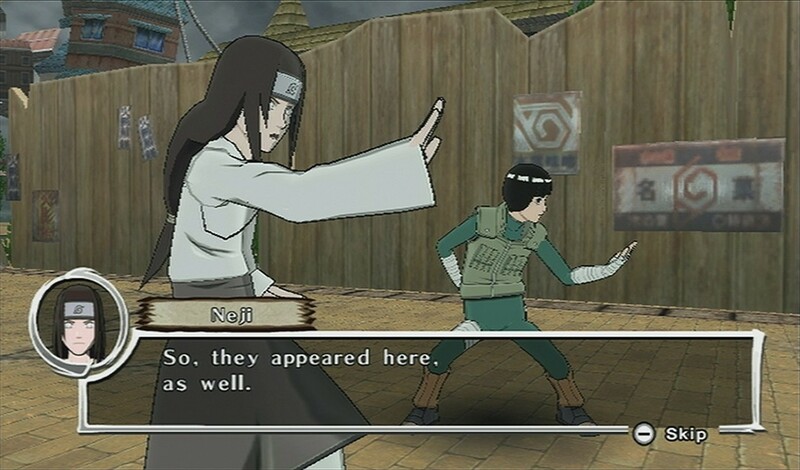 One of the gimmicks of the game is that you will simultaneously be following the exploits of Naruto’s rival, Sasuke Uchiha, as he follows the trail of Akatsuki members to the very same mountain in order to locate his brother Itachi. Sasuke’s story feels very tacked on, however, and means very little to the overall plot of the game. Not that the plot itself is all that good to begin with, as it plays out like a bad filler episode. While I can appreciate the developers attempting to get away from recycling the same story arcs from the series over and over in each game, it’d be nice if what we got was at least interesting. Instead, the story in Dragon Blade Chronicles is predictable, formulaic, and utterly lacking in any sort of meaningful writing. Now I know what you might be thinking. Some of the story arcs in the Naruto series itself, particularly the filler arcs, have a tendency to be predictable and formulaic as well. The problem here is that the plot attempts to make itself the center of attention, rather than doing what an action game should be doing, which is focusing on the action. Within my first hour of play, I think I spent more than half of it on cutscenes, and not the exciting, action packed quick time event cutscenes either, but the kind where everyone stands around and drones on and on with mountains of meaningless dialogue. Luckily, these cutscenes can be skipped, but it just goes to show how much they detract from the experience. 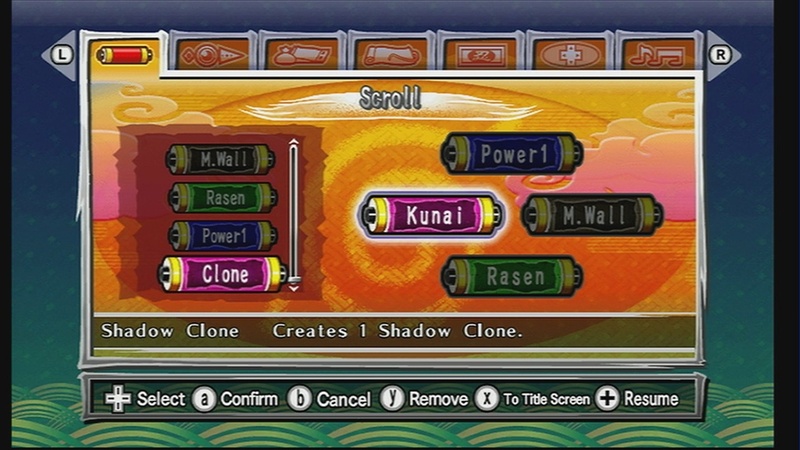 If you’ve ever played any of the Naruto: Clash of Ninja Revolution titles, you should know what to expect from the visuals. However, these bland cel-shaded characters have been used since the Gamecube era and have showed their age several games ago. They are fine up close and faithfully adhere to their manga counterparts. When you zoom out at all though, the characters become so pixelated that they are barely recognizable. Is that character talking? You never know in some cases. The enemies you fight are just plain drab looking. Aside from the bosses, they come in three varieties: floating potato looking things, mud monster foot soldiers, and giant mud monster foot soldiers. The only real difference between them is palette swapped colors and the weapons they carry. The backgrounds are equally as unexciting to look at considering you spend the bulk of the game just climbing the same mountain. This isn’t to say the scenery doesn’t change at all, but it goes from volcanic mountain to desert mountain to mountain mountain. In short, pretty bland. You would think dated graphics would mean that the game could at least run at blazing speeds, am I right? Unfortunately, Dragon Blade Chronicles can only handle a few enemies on the screen at one time before performance screeches to a halt. There were even a few scenes where all I was doing was running down a hallway and the frame rate took a noticeable plummet. I can’t believe any of this passed as acceptable. For purists, there’s really only one question that needs to be answered, so I’m just going to tell you right now: no, you cannot enable the Japanese voice track. I think that pretty much just killed the desire to play this game for several of you, but for those of you who could care less, the quality of the English dub is up to par with what you would find in the anime. It should come as no surprise that if you like the dubbed voices in the series, you’ll like them here. If you can only tolerate the Japanese, you will perhaps go insane, or refuse to play the game. I personally enjoy the English cast, even if Naruto’s voice can be a bit grating at times. Though, I feel the Japanese Naruto is grating as well, but that’s just my opinion. The soundtrack is serviceable, if a bit lacking in variety. You’ll generally have a single track play through the entirety of a stage that will loop continuously, even if you hit the game over screen. It will occasionally change up if you are fighting a boss or watching a cutscene, but for the most part you’ll be hearing the same few songs repeatedly throughout your experience. The nice thing about the control scheme in Dragon Blade Chronicles is that you have options. You can opt for the Wiimote/nunchuk combo, the classic controller, or a Gamecube controller. Since most people are going to have access to the Wiimote/nunchuk combo, I opted to give that a whirl. It certainly did its job admirably and limited itself to only one task for motion controls, which wasn’t even a major one at that. Rather than being a fighting game like its Clash of Ninja Revolution counterparts, Dragon Blade Chronicles is instead more of an action title with some platforming elements. You have buttons mapped to jumping and attacking as expected, but you can also dodge attacks, push and pull objects, and even map skills to your remaining buttons as you pick them up during the game. It’s a simple control scheme that you can customize accordingly, which is nice and allows you to choose a method of playing that’s most comfortable for you. That being said, no customization in the world can compensate for the awful platforming you are forced to endure. Naruto and Sasuke both jump like they have weights attached to their legs and seem to be unable to grasp ledges that are within reach. In other words, they’re not very ninja-like. What’s worse is that when you miss a jump and fall to your death, it’s an immediate game over and you are sent back to your last checkpoint. The frustration is even further compounded when you realize that getting hit while in midair is equally as likely to send you to your death, much like the Castlevania and Ninja Gaiden games of old. 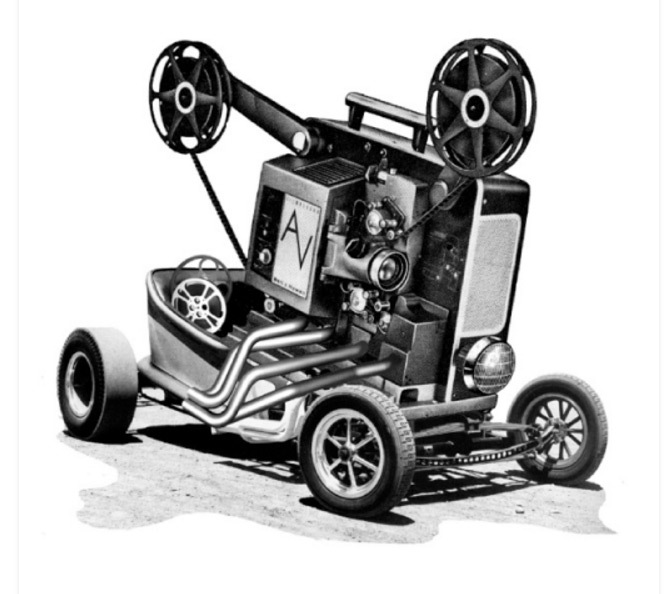 For as well mapped out as the other functions are, it would have been nice to have some form of camera control. As it stands, the game is not very intelligent in determining which way you want your view to face and getting too close to a wall will get you exactly that: the wall. There are even instances where getting too close to the sides will send the camera into an uncontrollable spasm until you back away and things return to normal. Granted, there isn’t a whole lot to really see in this game, but if you’re going to take control away from the player, at least have a functional substitute in place. 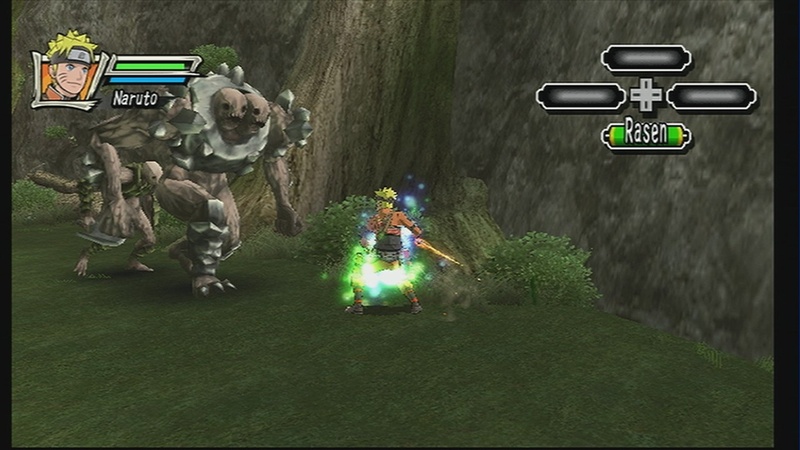 In addition to your health meter you are given a chakra meter which monitors how often you can use your various special skills and jutsus, both of which can be extended if you collect enough items. You also have a meter tied to whichever ally you have with you at a given time. While you don’t physically see them while in battle, you can summon them to perform an attack or some other support skill when their meter is full. 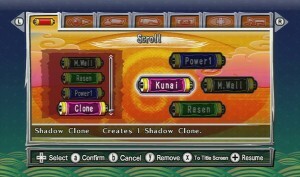 For example, having Shikamaru along allows him to throw paper bombs at the enemies for you, while Sakura will heal you if your health is low. There are two difficulty levels in this game: Easy and Hard. 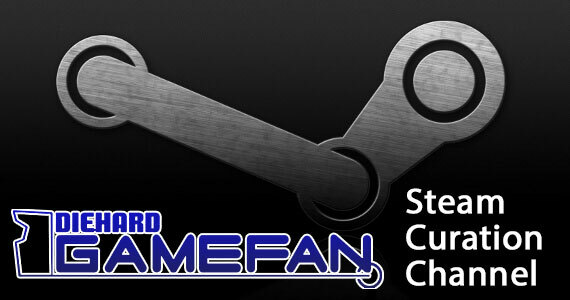 Fans of the game should get at least two playthroughs out of it, more for the completionists who want to find all the collectibles and unlock all the little in-game achievements. Even with that, the game can be cleared in just a few hours on your first playthrough. If you were to skip all of the cutscenes you could blaze through the game in one sitting. 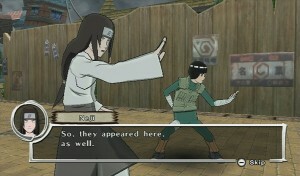 There’s really not much to do in the story mode and it’s a shame considering what has been done in other Naruto titles. There is a versus mode that you can choose to partake in, but it is sadly lacking. 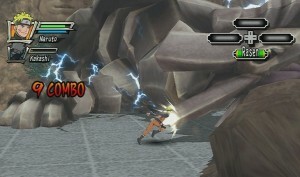 One player has to be Naruto, and the other must be Sasuke. You can choose how many rounds you fight and you can set your handicaps, but that’s it. 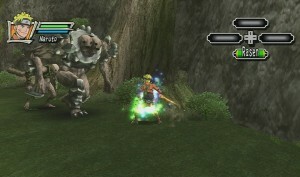 The stages are chosen at random and any skills you acquire appear at random throughout the arena. It even runs off the same clunky engine that the main game does. A lot of games present a multiplayer mode that is merely an afterthought, but few have ever felt as tacked on as this one does. It’s such a waste of time, I’d hardly consider it for replay value. This is a game of extremes. On the one hand, the majority of the game is incredible easy due to the simple fact that just about every enemy can be killed by repeated use of the same three or four hit combo (depending on what character you’re using), and that’s if you decide to fight at all. 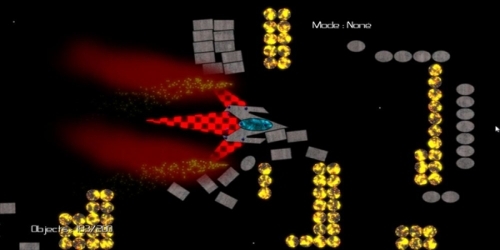 In many stages, you can run past all the enemies and make your way to the goal unhindered for the most part, until you run into a room where you have to defeat all the enemies to progress. You don’t encounter these very frequently, however, and without any incentive for defeating said enemies it is in your best interest to avoid conflict when necessary. On the other end of the spectrum, there is the terrible platforming that I mentioned above. 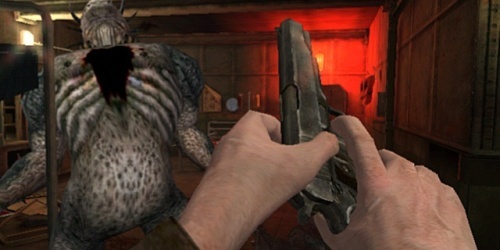 There are also moments, particularly during boss battles, where you may get struck by an attack or series of attacks that, once they connect, can drain your entire health bar before you can even react. Without giving away too much, I struggled with the final battle due to an attack that lifted you up into the air and subjected you to other attacks without the ability to retaliate. Often this meant failure with just one blow. Forget about difficulty setting, the challenge is uneven in both and really doesn’t provide much of a different experience between each other. Another thing that bears mention is how some of the puzzles in the game are often hindered by technical issues. I got stuck in the first Sasuke section, going around in circles even though I knew what the solution was all along. However, the skill I used to destroy a particular piece of the landscape didn’t work even though I saw it pass right through the object. This led me to believe I got the solution wrong when, in fact, it was the game’s poor collision detection that made me resort to running in circles again. Not only are Naruto games nothing new, but neither are they new to this genre. Rise of a Ninja and The Broken Bond are the standard to which I hold all other Naruto games, and compared to those, Dragon Blade Chronicles is a slapped together mess. 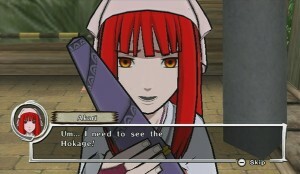 I love the Naruto show, and I still thought the three hours it took me to play through this game was too long. Even the Clash of Ninja Revolution titles, as little as they innovate from each other, are much easier to recommend than this game. Everything you see here has been done in other titles, and much, much better. I’ll be honest, I wanted to quit playing within the first hour. Part of that can be attributed to the overly lengthy and pointless cutscenes. The other part due to the utterly unexciting and generic combat. 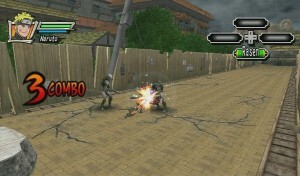 An action title such as this should not only encourage you to engage in combat with enemy characters, but also make it fun. Naruto Shippuden: Dragon Blade Chronicles does neither of these things, and as a result will drive people to give up on what is already a short adventure. Those that are big fans of Naruto Shippuden and the Naruto franchise as a whole may very well purchase this game anyway, despite what I have to say. That’s a fact of life and one that we will have to accept until those same people realize that game companies are going to continue to produce garbage for as long as we continue to buy it. That said, I will try to get my message across anyway: avoid this title like the plague, even if the Wii is your only console. If you have other systems, there are much better options out there. I mentioned above my personal preference for the Rise of a Ninja and The Broken Bond games for the Xbox 360. Likewise, there are a number of portable titles that would make for excellent alternatives. I simply cannot recommend this game to anyone, Naruto fans included. If there is one silver lining to this whole thing, it’s that this game debuts at a budget price. Most Wii games retail at $50 while this one adopts a $40 price tag instead. 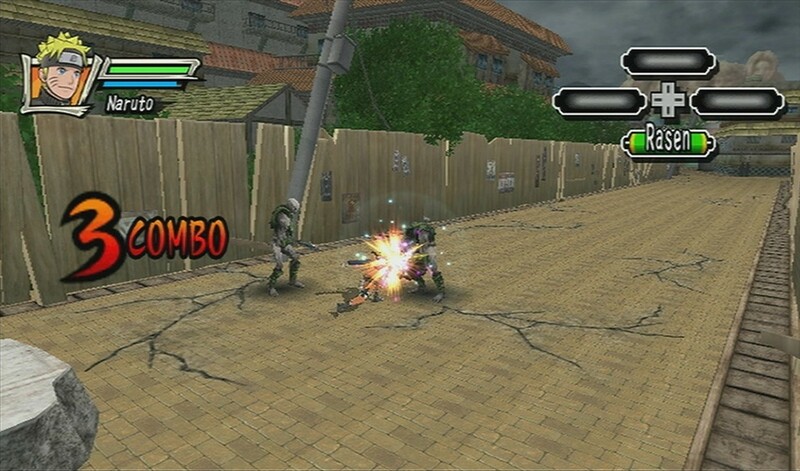 On that same token, the Clash of Ninja Revolution games can be found for a much cheaper price, and likewise for the Naruto titles on other consoles. Therefore, this is only really an advantage if you must buy this game new to add to your collection immediately. Another thing that bears mentioning is the ridiculous inconsistency in save points. You can only save after each stage, and while some stages last but mere minutes, others will have you running in circles, watching cutscenes, and fighting a marathon of bosses before you can save (and not necessarily in that order). I understand there is some leniency when it comes to save points in console games, but sometimes I would like to make progress in a game and I don’t always have time to sit in front of my TV in excess of an hour. Especially if I’m stuck on a boss and am forced to start over because I couldn’t save prior to taking a break from it. 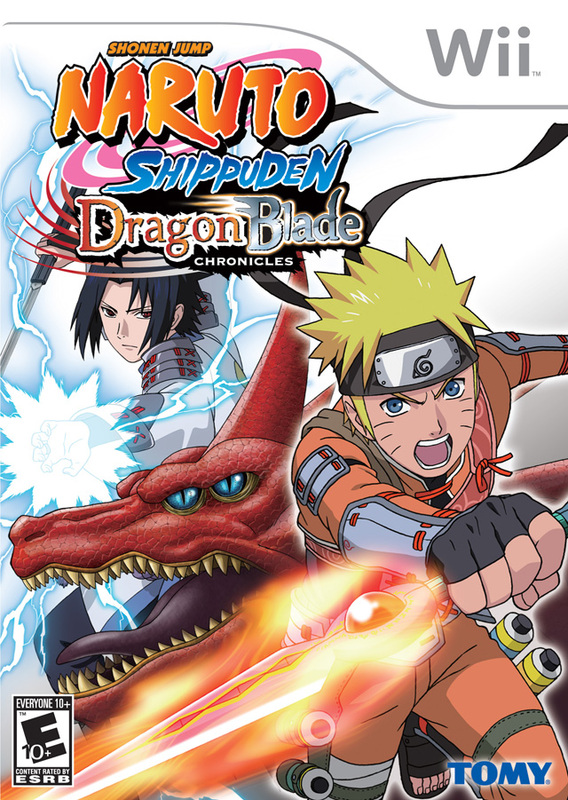 Naruto Shippuden: Dragon Blade Chronicles is easily the worst Naruto game to ever grace any of my consoles. Everything about it, the graphics, the story, and the uneven difficulty are so poorly conceived that it can best be described as lazy. Even at a cheaper retail price, there is no excuse for not only such a short and sloppy single player adventure, but the versus mode is so lacking in options that it might as well have never been implemented in the first place. When people talk about poor games based on licenses, this is one that will be used as an example for years to come. Believe it! Ugh. It’s Itachi man, Itachi. Does it say Utachi in the game, cause if so that is a gross error. What in the… for as many times as I read that sentence, I can’t believe I never caught that. No, it wasn’t the game, that was my bad. Ugh, I should know better. lol. It’s OK. My Naruto fandom had to say something. It’s cool. I’m glad you caught it lest anybody discredit my opinion because I typo’d on one of the main characters, heh. I think I inadvertently substituted the “u” because that’s what Uchiha starts with and it ran together in my head.